Fluorometer | products Categories | Electronics India - Manufacturer, Supplier and Exporter of Analytical, Scientific Laboratory and Pharmaceautical Instruments in India. Electronics India is renowned as a important manufacturer and supplier of hi-tech instruments used in the pharmaceutical industries, institutions and research laboratories. We are considered as one of the prominent Fluorometer Manufacturers and Suppliers in India. 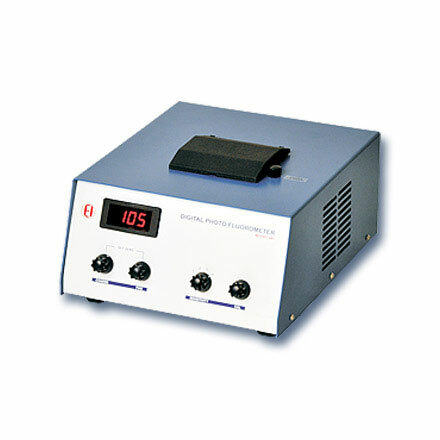 Electronics India’s Digital Photo Fluorometer is designed for precise analysis of fluorophors such as vitamins, quinine, steroids, fluorescein, metal complexes etc.